USDA-NRCS PLANTS Database / Herman, D.E., et al. 1996. North Dakota tree handbook. USDA NRCS ND State Soil Conservation Committee; NDSU Extension and Western Area Power Administration, Bismarck. 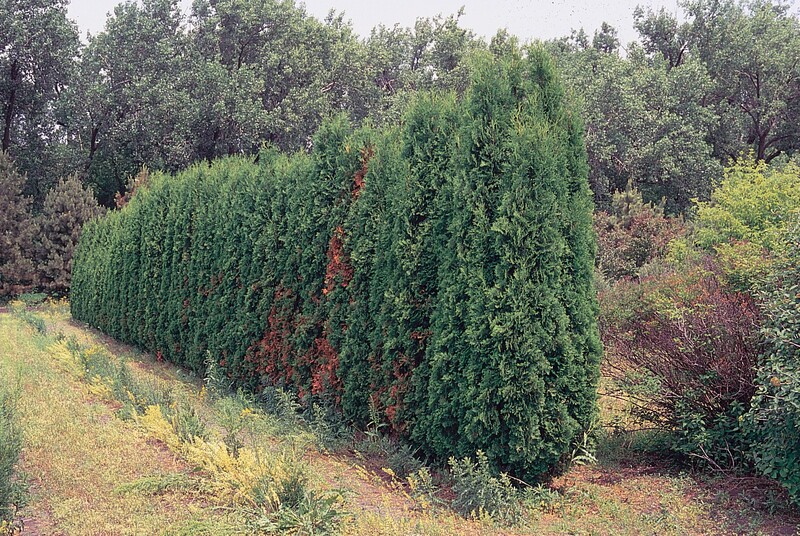 American Arborvitae, Thuja occidentalis, has been selected as the February Tree of the Month. This evergreen tree, which seems to be everywhere, has some very interesting characteristics. Arborvitae, easily transplanted, is not very picky about its needs. A moist, well drained soil (loam, clay, sand) in full sun is best, and the pH can vary from highly acidic to mildly alkaline. This tree has a high tolerance for heat and urban pollution and once established it may tolerate some drought. In fine conditions the life span can be 50 to 150 years; one of the oldest specimens found is reported to be more than 1100 years old. Deer love Arborvitae, however, so the old specimens are usually found on cliff faces or other locations where deer, which rapidly strip off the foliage, cannot reach them. This tree is one of the most widely distributed of all conifers and is native to Northeastern North America and Southeastern Canada, USDA Zones 2-8. Ewing is USDA Hardiness Zone 6b-7a. The foliage lies in flat, spray-like fans on the branchlets; the color in summer is dark green. The flowers, blooming in spring, are inconspicuous, and the beige-brown, oblong cones are .5” to 1.5 “long. The bark exfoliates and forms furrows. Sometimes the trunk forks near the ground into several main stems which makes the tree vulnerable to separating and bending under heavy snow loads and ice. Arborvitaes have a medium growth rate, 12” to 24” a season, and can reach 65’ tall by 10’-15’ wide. 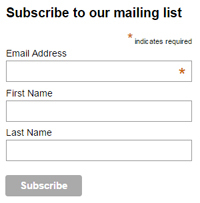 They obviously require a lot of room. The Arborvitae’s shape is conical and dense which makes it a favorite for hedges, specimen plants, windbreaks, and foundation plantings. It responds well to pruning and shearing. The Ojibwe Indians relied heavily on Arborvitae for crafts, construction and medicines, and today it continues to be used for these purposes. The wood is lightweight, easily worked and durable. The word Arborvitae means “Tree of Life”, a word used because it has so many medicinal properties in addition to its other uses in building and construction. The medicinal properties range from supposed wart removal, teas for constipation, a diuretic, an expectorant, and remedies for headache, bronchitis, skin infections, cold sores and osteoarthritis. The oil and sap contain high quantities of vitamin C, but a neurotoxin, Thujone, makes it hazardous for internal use. Other uses include insecticides, room deodorizers, cleansers, disinfectants, a flavoring agent, and scent for soaps and cosmetics. Several diseases and pests in addition to deer affect Arborvitae: leaf miners, spider mites, root rot, bagworms, and phytophthora are among them. There are hundreds of varieties or cultivars of Thuja occidentalis. They vary from dwarfs to giants, beautiful to unremarkable specimens, and many which stay very green all winter. It is worth while to research these cultivars before purchasing a tree.